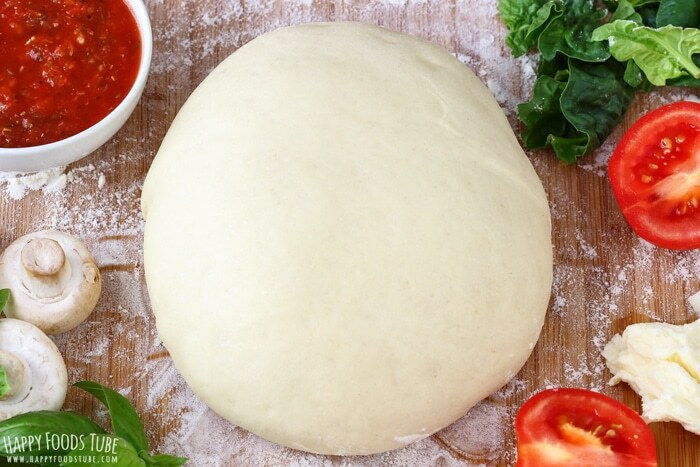 Create your signature pizza with homemade pizza dough! 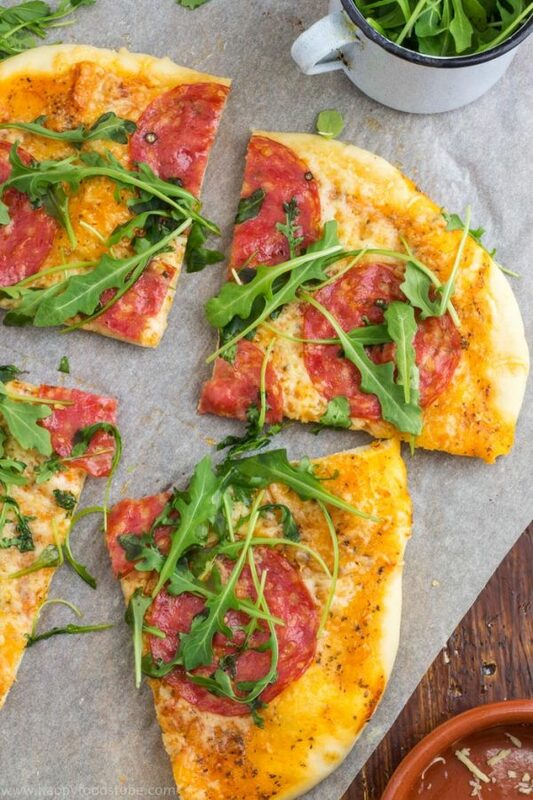 Impress your friends with this simple recipe and throw a make-your-own-pizza party! Why not to make your own pizzas from scratch if you can! 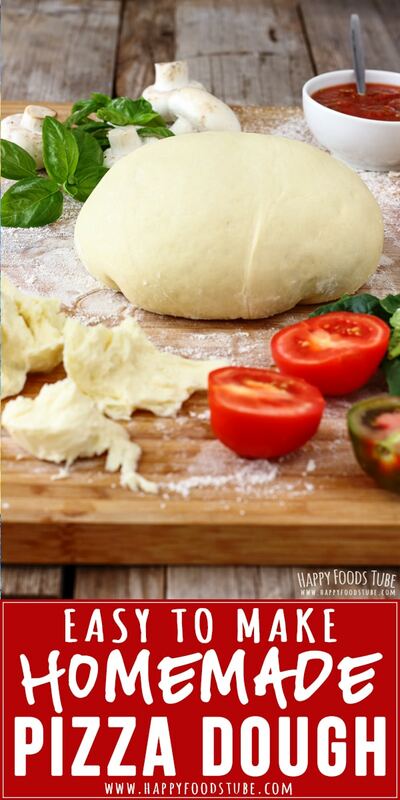 This homemade pizza dough is the key to best homemade pizza! Just add toppings of your choice and you are sorted! 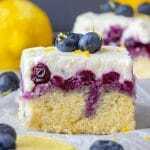 Now even though it is easy to make. As we all know, making the traditional pizza dough requires some time. But guys, it is so worth the while. Over the years, I have tried several pizza dough recipes and finally came to the conclusion that Jamie’s pizza dough recipe was my favorite one. Just so you know I was not successful at making the perfect pizza dough right away. But I’d tried and tried until I got it right. I did make a few changes to the original recipe though. 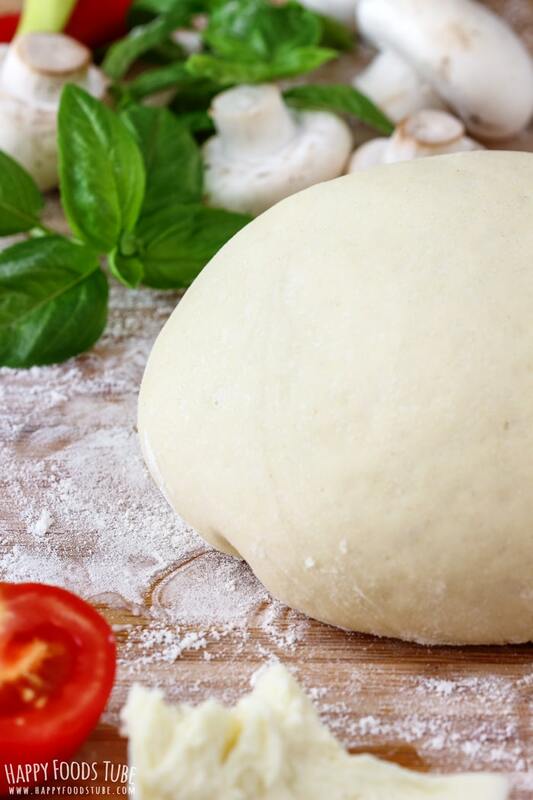 To make the perfect pizza from homemade pizza dough all you need are the ingredients, your hands and oven. No pizza stone, no pizza tray or paddle. Well a pizza oven would definitely be a bonus but who has one, right? All you need to understand is that leaving your pizza in the oven for longer than required will result in a dried out pizza dough (especially, when you have a thin-crust pizza). And this is something we don’t want. To see if the pizza is ready, check the bottom. If the bottom is brown but the edges pale I suggest taking it out already to prevent the pizza from drying out. 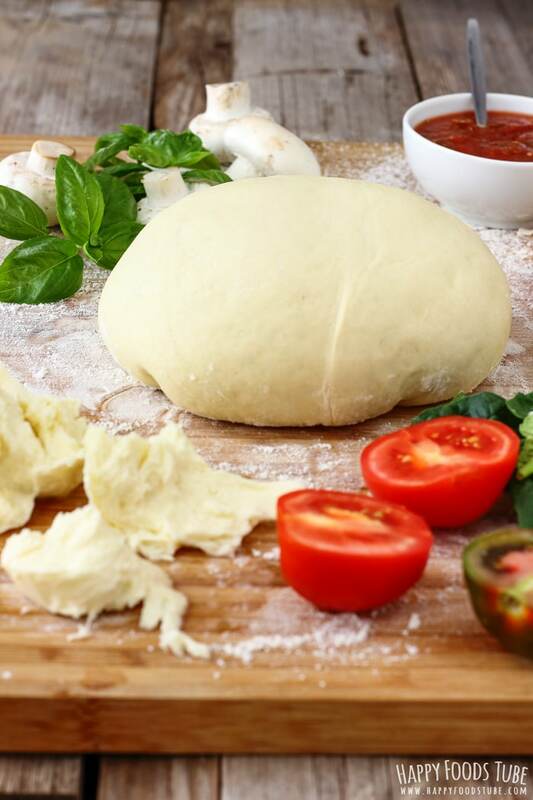 Kneading is important – 5-7 minutes of kneading (by hand) is what it takes to make the perfect homemade pizza dough. The rising time might vary. 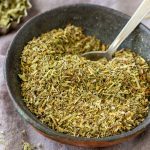 This depends on several factors such as the room temperature, the temperature of the ingredients, altitude levels … but don’t panic. Just make sure the dough doubles in size – then you are good to go. If making homemade pizza sauce, don’t forget to add dried oregano. The more the better. It will give your pizza the perfect taste. Check out my 3-Minute Homemade Pizza Sauce. I always use that one. 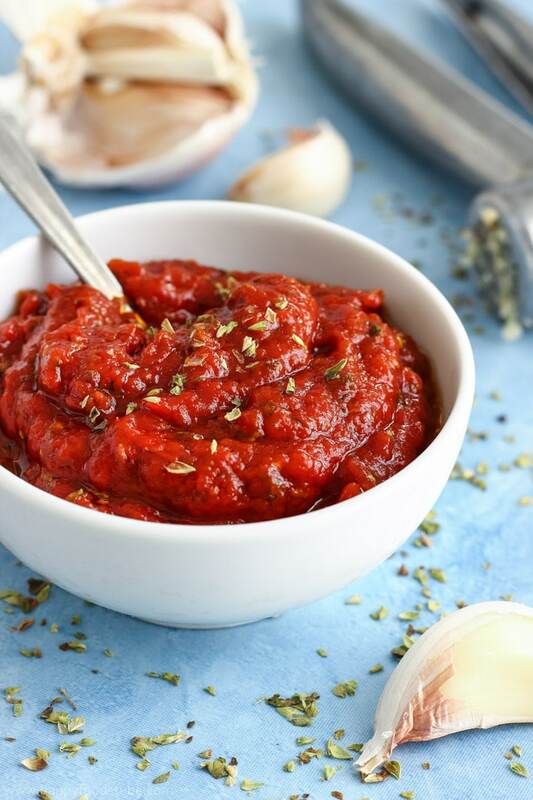 It’s the easiest sauce to make and no cooking is required! Add cheese (preferably sliced mozzarella cheese) after the sauce and before the rest of your toppings. It will keep the whole pizza moist. 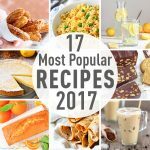 People are always apprehensive about homemade yeast based breads. But there is nothing to worry about. 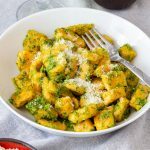 If you follow this recipe your dinner is sorted! 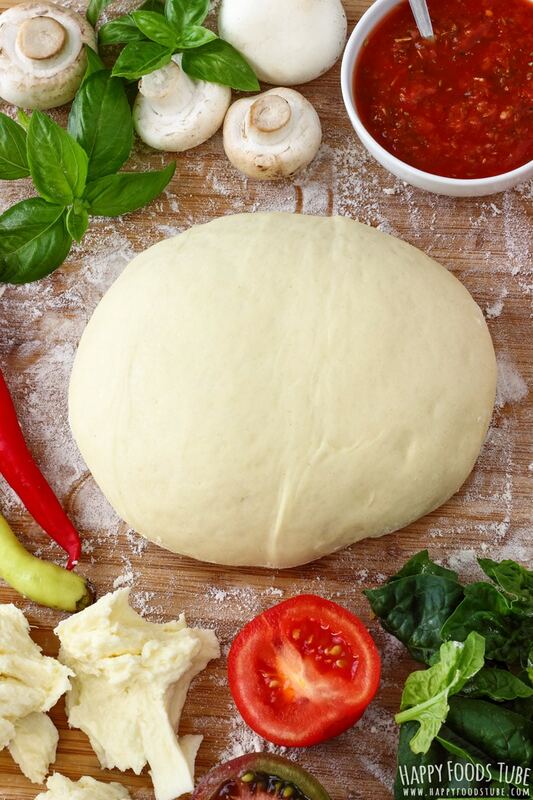 This homemade pizza dough will feed at least 4 people. The pizzas are large when rolled out thin. Once you have combined all the ingredients (in a bowl or on a work top), form dough. Knead it for 5 minutes. Don’t knead less. Kneading is important. The dough should be elastic. Now it’s time for the dough to rise. This will take about 60 minutes and it will depend on the room temperature in your house. Once you’ve placed it in a bowl, cover with cling film and a clean cloth try find a warm spot to help it prove faster. It should double in size. If you think it is not, leave it prove longer. Divide the pizza dough in 4 (large pizzas) or 8 (small pizzas) parts. Get yourself a rolling pin and start rolling! At the beginning you may feel like the dough doesn’t expand in size much. You can use your hands to stretch it out and then use rolling pin. I love thin crust pizza so I roll it really thin. Bear in mind it will rise in the oven as well. The rolling of each dough ball will take no more than 3 minutes. Prepare your dough a day in advance. It’s simple: after it has risen, divide it into 4 parts and wrap each piece in a cling film. Keep in the fridge. Take out the following day & roll out. Note that the dough will become slightly harder to roll out. You can also freeze them (place each one in a Ziploc bag first). Mix the yeast with lukewarm water and sugar. Let it sit for about 5 minutes. Hand kneading: On a clean work top combine the flour, salt and oil. Add the yeast mixture and using your hands form into dough. Knead for 5 minutes until you get smooth, springy dough. 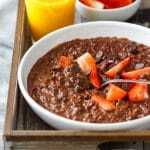 Using food processor: In a bowl of your food processor (use dough attachment) combine all the ingredients including the yeast mixture and mix until the dough is formed. It takes 1½ - 2 minutes in mine. Place the dough into a large bowl and cover it with cling film and a clean kitchen towel. Let it rest in a warm place for 45-60 minutes or until it has doubled in size (in extremely cold rooms it can take up to 80 minutes, in warm 30 minutes). 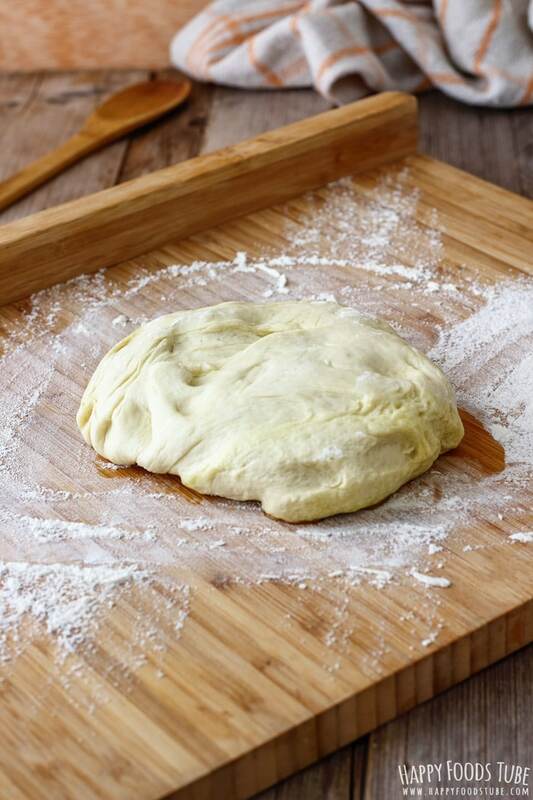 Transfer the risen dough back onto your worktop and knead again for a minute or two. Divide the dough into 4 pieces (for large pizzas) or into as many pieces as you like. (At this stage you can put some of it in the refrigerator or freezer). This dough will need about 12 minutes in a preheated oven (430°F/220°C). To see if the pizza is ready, check the bottom – if it is brown, you can take it out. Strong flour can be substituted with all-purpose flour (US)/plain flour (UK). 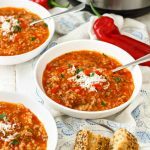 If you don’t have olive oil – feel free to omit it but you might need to increase the amount of water by a few tablespoons. If you feel like the dough is way too hard to work with, add more water. 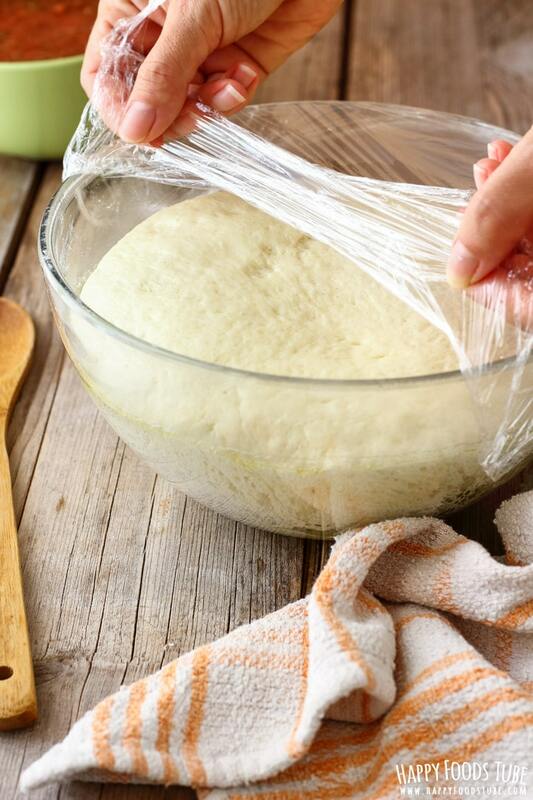 To store the dough in the fridge or freezer just wrap it in cling film or place in a Ziploc bag. Looks beautiful and tasty! 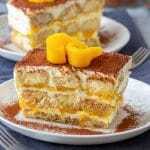 Is good food and this looks like one of the BEST! Very interesting combination of ingredients. I really like. THANK YOU! Yum! 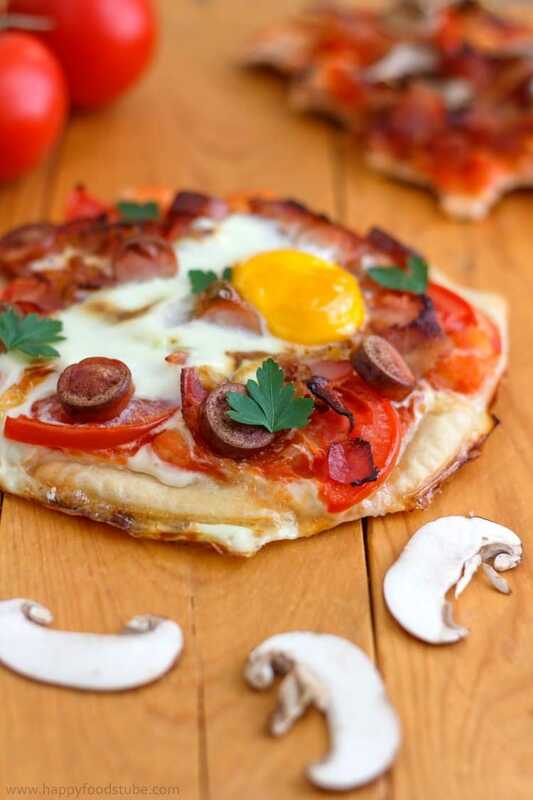 What a fun way to spend pizza night by making your own personal pizzas! This sounds like the perfect pizza dough. It freezes so well too so you can get prepared for the future. Definitely going to try your recipe. Thanks! making an Indian Nan bread is so similar to making pizza dough. I love making mine at home. Thanks for the additional tips. I’m glad you can make this in the food processor. Homemade pizza dough is the best, especially if made the day before. There is something about the overnight rest that makes the perfect texture. Saving this to try, it looks like a winner to me! This is the Best pizza dough ever! I find it quicker and much tastier than premade supermarket dough. It rolls out so easily and incredibly delicious!